United Airlines will fly its 787-10s internationally for the first time this weekend. Two flights will head over the Atlantic Ocean on Saturday in the largest version of the Dreamliner, Both departing from Newark (EWR). United 84 departs at 4:55 p.m. on March 30th with a scheduled landing in Tel Aviv (TLV) at 10:15 am on March 31st, making a flight time of 10 hours and 20 minutes. The other, UA 960, departs EWR on March 30th at 7:40 pm, with an arrival time in Frankfurt (FRA) at 9:10 am, a flight time of 7 hours and 30 minutes. United currently operates both of these routes on a Boeing 777. Currently, United is flying their 787-10s domestically from EWR to LAX and SFO. This weekend will be the first journey abroad. United received delivery of its first 787-10 in November. Confusion surrounded its “inaugural” flight, with the actual first flight differing from the one labeled as the inaugural flight. The company labeled the first official flight from LAX to EWR in January, despite the fact that the airline used the 787-10 twice in December. 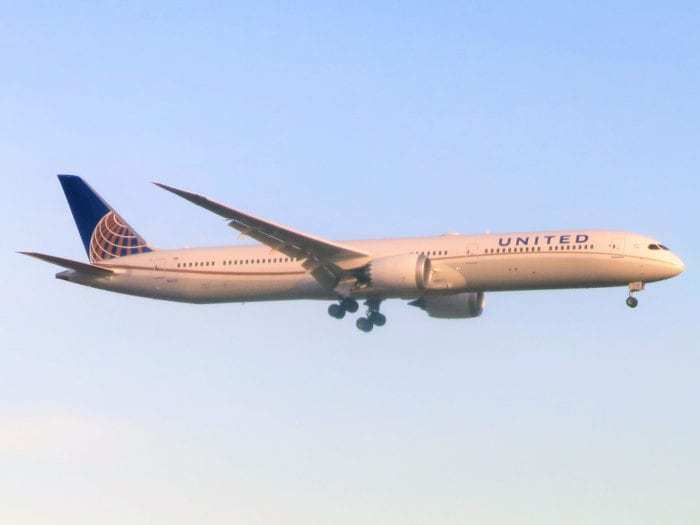 United was the first North American airline to fly the 787-10 and the only North American airline to simultaneously fly every plane in the Dreamliner family: the 787-8, 787-9, and the 787-10. United was the second airline to fly the 787-10, after Singapore Air received its first 787-10 last March. One of the most anticipated aspect of United’s Dreamliner 787-10 is the Polaris business class. With seating in a 1-2-1 configuration, all seats have direct access to the aisle. 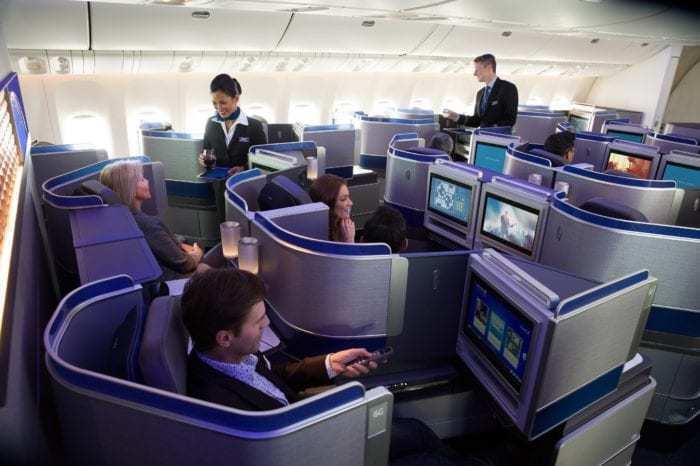 The longest Dreamliner features 44 Polaris business class seats that lie flat. The 787-10 also features 54 economy plus seats and 199 standard economy seats. 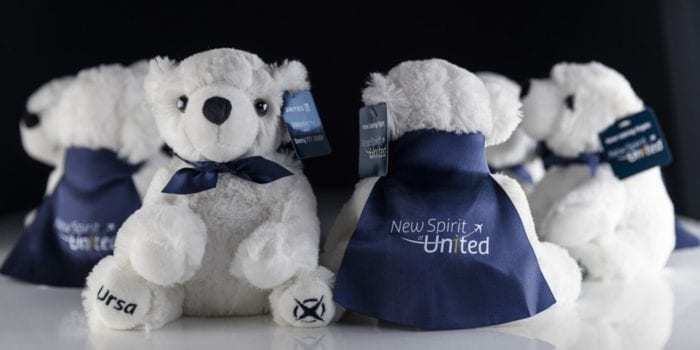 In addition to the excitement over the new business class seating on the 787-10, United is also bringing back the beloved Polaris plush bear, Ursa, to celebrate this international inauguration. The airline will give a stuffed bear to each passenger flying in Polaris business class this weekend, March 30th and 31st. Passengers don’t need to be flying on the 787-10, only flying in Polaris business class on any United aircraft to get their Ursa bear. United phased out Ursa a few years ago, but tends to bring back the bear for special flights, such as in 2017 for the international inauguration of their Boeing 777-300. Throughout this year, United’s 787-10 will head over the ocean more often. On April 29, United plans to fly the 787-10 on routes from Newark to Paris and Barcelona. Both of those currently operate on a Boeing 767. Additionally, on May 22, United will be offering service from Newark to Brussels and Dublin aboard the 787-10. Both of those routes currently fly with a 777. I flew on the United 787-10 yesterday SFO to ICN. We were supposed to be on a 787-9 but there was an equipment change. I was in the Economy Plus section, near one of the rear bulkheads (Row 44) My coworker was in the new “Polaris Plus” seats. I got a pillow and a blanket, they claim the blanket is from Saks Fifth Avenue, if that means anything, it seemed like an airplane blanket to me. I had an electrical outlet and an in flight entertainment system with a usb port. There was plenty of legroom but the elbow room was still very tight. The seats are very thin and weren’t very comfortable for a 12 hour flight. In the “Polaris Plus” cabin my coworker had more elbow room (2-4-2 vs 3-3-3) and they served him a better meal with cutlery. Overall I was impressed because I was dreading flying United but i wasn’t that bad, but I still prefer EVA premium economy.